Welcome to Dave & Buster’s Desert Ridge! We are the place for family FUN! Everyone is a kid at heart so stop in to enjoy the latest arcade games. Let the good times roll in our Hi-Life Lanes, where we have twelve lanes of bowling or rack’em up in our 9 Ball Lounge, where we have six pool tables plus a shuffleboard table. FUN is always on our menu so make memories while you relax and enjoy a cold beverage and delicious food. 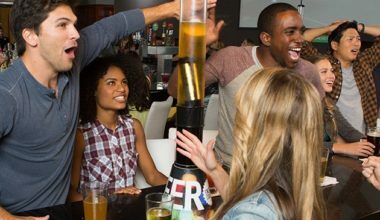 There’s always something new at Dave & Buster’s — the ONLY place to Eat, Drink, Play & Watch Sports all under one roof! Participate in an 8-week Esports season where players work in teams, practice and compete in weekly games! Test your skills every Tuesday and Thursday starting March 12. Visit www.bravous.com for more information! $2 Tacos, $2 Coronas and 2 FREE Game Plays with $10 Power Card Purchase!